Vivo S1 Images Appear on TENAA - Playfuldroid! The Vivo V1831A / V1831T phone that was certified by TENAA earlier this month is expected to debut as Vivo S1 in China. The handset had appeared with all its specs on TENAA earlier this month, but its images weren’t revealed. The TENAA listing has been updated as it now features the images of the phone. The specifications of the Vivo S1 are almost identical to the Vivo V15 phone. 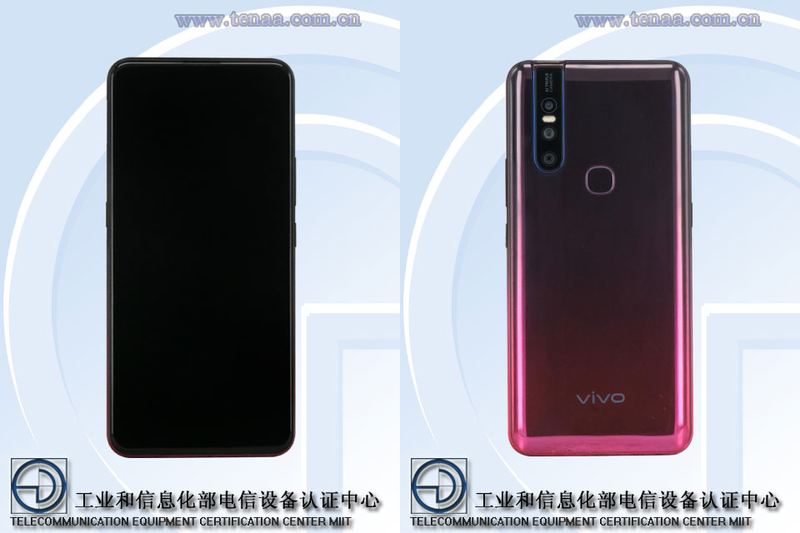 The images of the phone that have appeared on TENAA reveal that it will be looking same as the Vivo V15 phone. The images show that the Vivo V1831A/T is equipped with a notch-less display which means the phone will offer a screen-to-body ratio. It is equipped with a pop-up selfie shooter and its rear shell has a triple camera module. The Vivo S1 will be arriving with a 6.59-inch IPS LCD display with support for full HD+ resolution. The Helio P70 will be present under the hood of the device. The SoC will be supported by 4 GB of RAM. It will come with 4,000mAh battery. The Android 9 Pie OS with FunTouch OS 9 UI will be available preinstalled on the device. A 24.8-megpixel camera will be available for shooting selfies. The back panel of the phone will feature 12-megapixel + 8-megapixel + 5-megapixel triple camera module and a fingerprint reader. The smartphone is expected to get announced along with Vivo X27 and X27 Pro on March 19 in China.